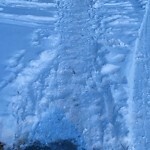 These pathways are never shoveled or plowed and pose a huge risk to all children walking to school bus stops. These pathways haven't been plowed in the last 5 years. 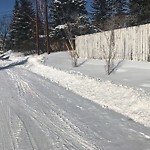 The West side sidewalk of 52nd St between Auburn Bay Ave and Seton Blvd needs to be cleared of snow. 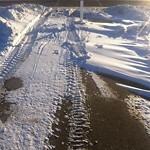 About 2-3" of Snow on pathway at west ramp off Deerfooot going east to hotels. Plow drove through and didn't plow pathway. Snow on Airport Trail Pathway. >>>311 Response - this is private home owner responsibility, send this file to Bylaw Services for review>>> Snow on sidewalk, never clean. It is impossible to pass with a stroller. >>>311 Response - This file has been forwarded to Transit for review>>> Please clean snow around bus stops and walkway for transit users. Huge pileup of snow in intersections.